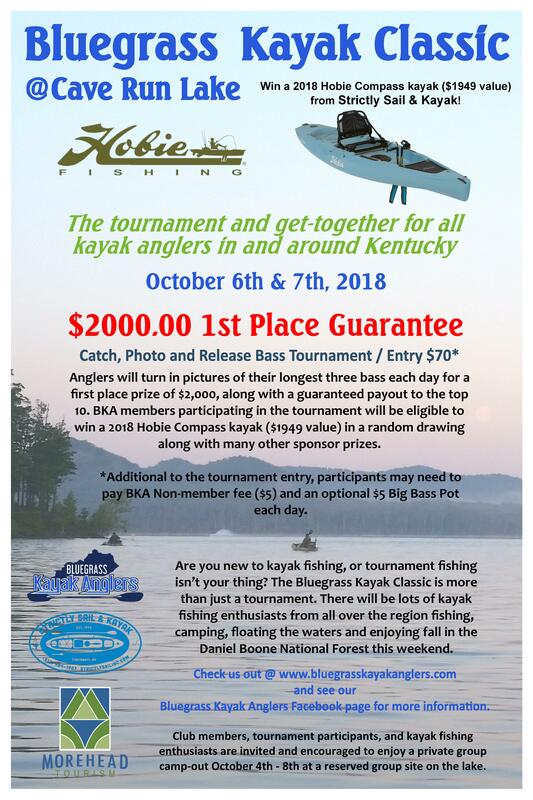 The Bluegrass Kayak Anglers are happy to bring you the Bluegrass Kayak Classic presented by: Strictly Sail Inc & Visit Morehead! For Online entry fee payment there will be a $2.00 Paypal Fee. Cash Entries the morning of the event will be $70.